The Bugzilla installation requires several technical aspects to start with. 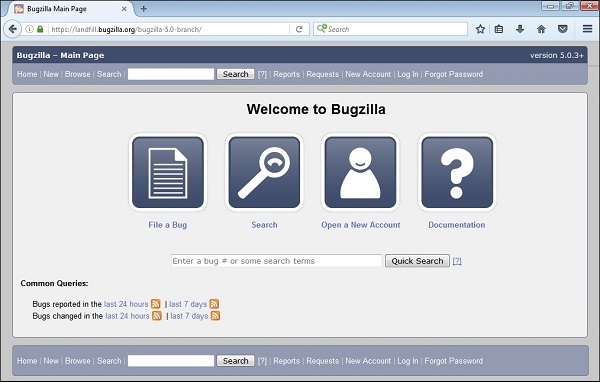 A few websites provide the Bugzilla web application – Landfill: The Bugzilla Test Server is one of these. https://landfill.bugzilla.org/bugzilla-2.16.11/this is the testing and demonstration website. Note − Landfill is a home for test installations of the Bugzilla bug-tracking system. If you are evaluating Bugzilla, you can use them to try it. They are also useful if you are a developer and want to try to reproduce a bug that somebody has reported.